Aussie heroes who have proved themselves on the battlefield as well as on the sporting field. 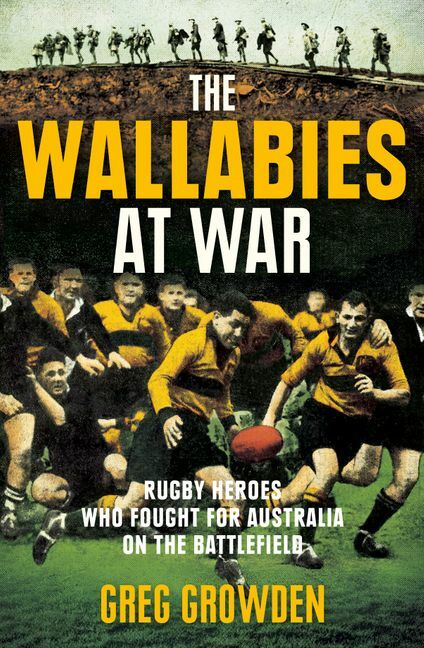 Members of the Wallabies, the national rugby union team, have fought in virtually every major conflict Australia has been involved in, including the Sudan, Boer War, Boxer Rebellion, both World Wars, Korea, Vietnam and East Timor. Among them are some of Australia's most illustrious footballers. In this book, a veteran sports journalist tells their extraordinary stories of bravery, hardship, courage and human endeavour. The strengths that made these young men sporting heroes are as important on the battlefield as on the sports field: teamwork, athleticism, tenacity, humour and courage. The Wallabies at War includes untold stories from Aussie military and sporting history - not just on the battlefield but from POW camps and even the Burma Railway - and a wealth of experiences from humour to tragedy, and from the depths of torture, injury and deprivation to achieving stunning post-war sporting comebacks. For anyone who loves their sport and their military history. Greg Growden is a leading authority on Australian rugby. A senior sportswriter for The Sydney Morning Herald for more than three decades, he was also the SMH and Sun-Herald's chief rugby union correspondent, covering hundreds of Test matches, more than 25 Wallaby tours and every World Cup tournament - and is one of just two international rugby writers to have covered all eight World Cups.He is currently ESPN's senior columnist in Australia, writing on numerous sports, and is the author of 14 books.